The economy of Samoa is dependent on agricultural exports, development aid and private financing from overseas. The country is vulnerable to devastating storms. Agriculture employs two-thirds of the labor force, and furnishes 9% of exports, featuring coconut cream, coconut oil and copra. Outside a large automotive wire harness factory, the manufacturing sector mainly processes agricultural products. Tourism is an expanding sector; more than 70,000 tourists visited the islands in 1996 and 120,000 in 2014. The Samoan Government has called for deregulation of the financial sector, encouragement of investment, and continued fiscal discipline. Observers point to the flexibility of the labor market as a basic strength factor for future economic advances. Unloading a lighter at Apia Wharf, around 1975-1985. New Zealand is Samoa's principal trading partner, typically providing between 35% and 40% of imports and purchasing 45%–50% of exports. Australia, American Samoa, the United States, and Fiji are also important trading partners. Its main imports are food and beverages, industrial supplies, and fuels. The primary sector (agriculture, forestry, and fishing) employs nearly two-thirds of the labor force and produces 17% of GDP. Samoa's principal exports are coconut products and fish. Fishing has had some success in Samoan waters, but the biggest fisheries industry (headed by Van Camp and StarKist) has been based in American Samoa. StarKist Management announced that it was going ahead with setting up at Asau a blast-freezer project to be operational by 2002. This announcement dispelled a growing suspicion about the genuine motives of StarKist to move to Samoa. The proposed blast-freezer operations in Asau were expected to bring this village back to life. Samoa annually receives important financial assistance from abroad. More than 100,000 Samoans who live overseas provide two sources of revenue. Their direct remittances have amounted to $12.1 million per year recently, and they account for more than half of all tourist visits. In addition to the expatriate community, Samoa also receives roughly $28 million annually in official development assistance from sources led by China, Japan, Australia, and New Zealand. These three sources of revenue—tourism, private transfers, and official transfers—allow Samoa to cover its persistently large trade deficit. In the late 1960s, Potlatch Forests, Inc. (a US company), upgraded the harbour and airport at Asau on the northern coast of Savai'i and established a timber operation, Samoa Forest Products, for harvesting tropical hardwoods. Potlatch invested about US$2,500,000 in a state-of-the-art sawmill and another US$6,000,000 over several years to develop power, water, and haul roads for their facility. Asau, with the Potlatch sawmillers and Samoa Forest Products, was one of the busiest parts of Savai'i in the 1960s and 1970s; however, the departure of Potlatch and the scaling down of the sawmill has left Asau a ghost town in recent years. Until 2017 industry accounted for over one-quarter of GDP while employing less than 6% of the work force. The largest industrial venture was Yazaki Samoa, a Japanese-owned company processing automotive wire harnesses for export to Australia under a concessional market-access arrangement. The Yazaki plant employed more than 2,000 workers and made up over 20% of the manufacturing sector's total output. Net receipts amounted to between $1.5 million and $3.03 million annually, although shipments from Yazaki was counted as services (export processing) and therefore did not officially appear as merchandise exports. Yazaki Samoa closed down in 2017, but in the same year Fero, a New Zealand manufacturer producing wiring units, set up in Samoa in the same plant used by Yazaki. In 1972, more than 85,000 visitors arrived in Samoa, contributing over $12 million to the local economy. One-third came from American Samoa, 28% from New Zealand, and 11% from the United States. Arrivals also increased in 2000, as visitors to the South Pacific avoided the political strife in Fiji by traveling to Samoa instead. Tourism numbers and revenue have more than doubled in the last decade. Samoa received 122,000 visitors in 2007 and increased to a total of 145,176 visitors in 2016. About 46% came from New Zealand, 20% from Australia and 7% from the United States. Samoans living overseas accounted for about 33% of all tourist numbers (South Pacific Tourism Organisation (SPTO), 2017). The service sector accounts for more than half of GDP and employs approximately 30% of the labor force. 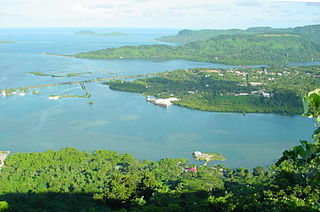 ^ "Ease of Doing Business in Samoa". Doingbusiness.org. Retrieved 25 January 2017. ^ "Doing Business in Samoa 2013". World Bank. Retrieved 23 October 2012.